However, despite a total ban on logging and registration of parts of Albania’s biggest national park Shebenik-Jabllanice as a UNESCO world heritage site, criminal networks are ravaging its primeval forests to supply logs to the domestic firewood market, an investigation by the Balkan Investigative Reporting Network, BIRN, reveals. 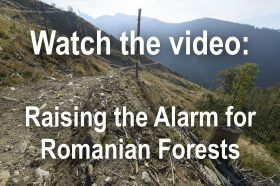 According to Global Forest Watch the forest cover of Albania went down to 17 per cent of the country (2010). One of the biggest chunks of remaining woodland is in the Shebenik-Jabllanice National Park, which accounts for 70 per cent of Albania’s biodiversity, according to the Albanian Ecology Club conservation group. 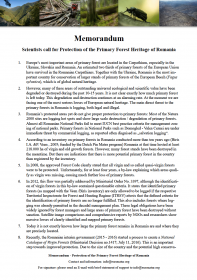 Balkan Investigative Reporting Network (BIRN) published a in depth feature story about the criminal operations in the national park and UNESCO world heritage site.